cucumbers, tomatoes and olives. It's sure to be your new favorite go-to lunch! It's been rainy and chilly here in Michigan the last few days. When I say "chilly" I mean like 60 degrees. I know 60 isn't really cold, but with the dampness and rain it just feels kind of gross. At least it's been a good excuse to pull out my sweaters! With weather like this I've been in the mood for comfort food and baking. I've made chili, a big pot of pasta, cookies and bread. 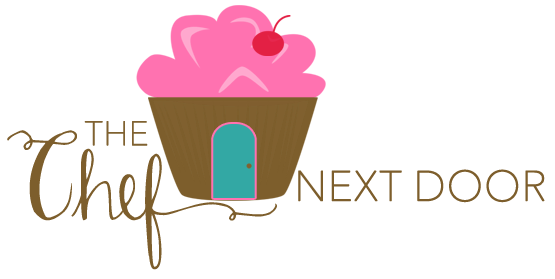 There is nothing quite like baking when it's chilly outside! I've also been craving chicken salad lately. 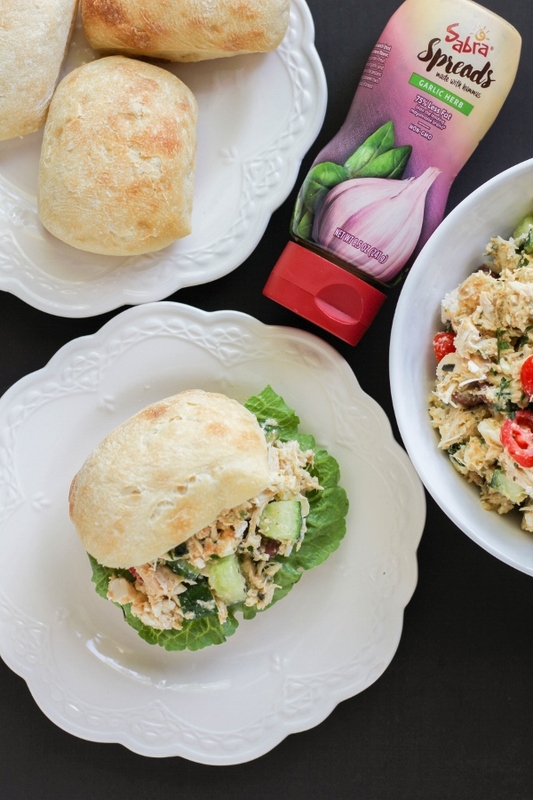 I love chicken salad sandwiches, so I decided to whip some up the other day for lunch. This time my chicken salad was different though. I made a Greek version, full of cucumbers, tomatoes, and olives, and instead of using mayo I used Sabra's new line of refrigerated spreads that are made with hummus! They have three amazing flavors - Garlic Herb, Sea Salt & Cracked Pepper, and Honey Mustard - and they contain 75 % less fat than mayonnaise. All three varieties are vegan, kosher, gluten-free, and non-dairy, and are made with the best quality ingredients. The Garlic Herb was just what my chicken salad needed! 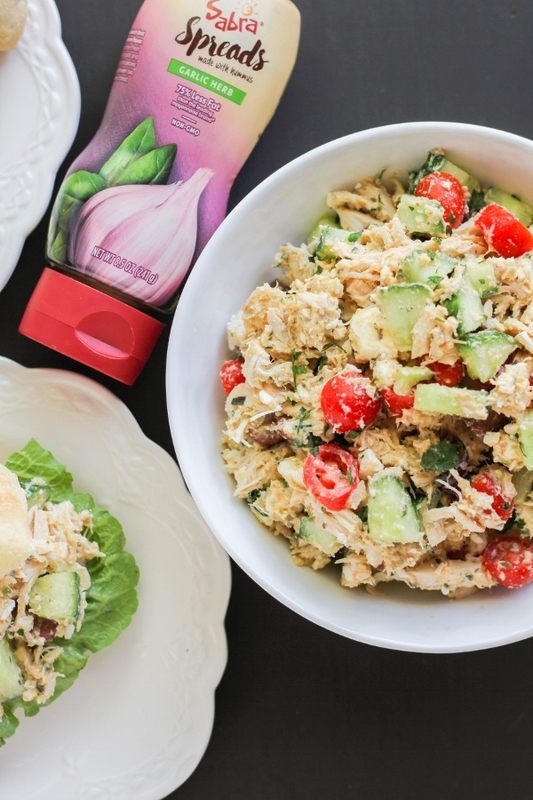 If you're in a lunch slump, or just want some new lunch ideas, this Greek Hummus Chicken Salad is for you. Using shredded rotisserie chicken, it comes together very quickly. Pile it on top of a ciabatta bun with lettuce, or eat it straight from the bowl with a fork. Either way is equally delicious! 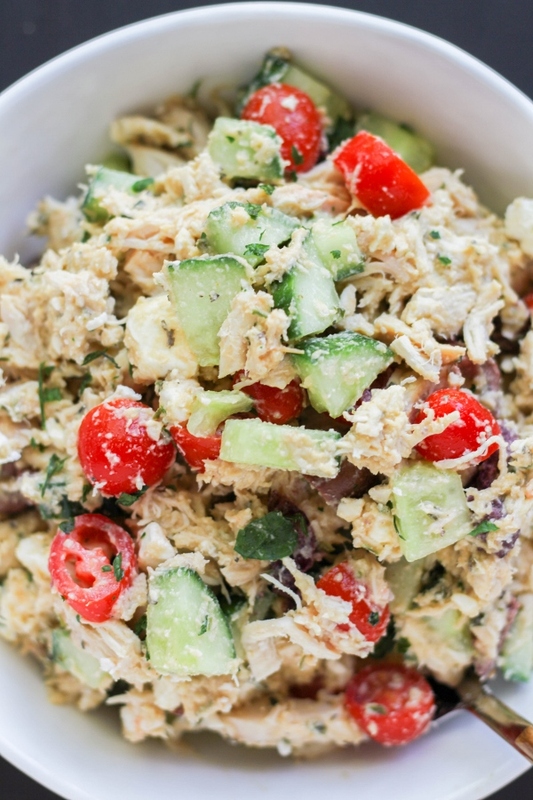 In a large bowl, add the chicken, cucumbers, tomatoes, cheese and olives and mix well. Add the Sabra Spreads and mix gently. Sprinkle with salt, pepper and chopped parsley and mix to combine. 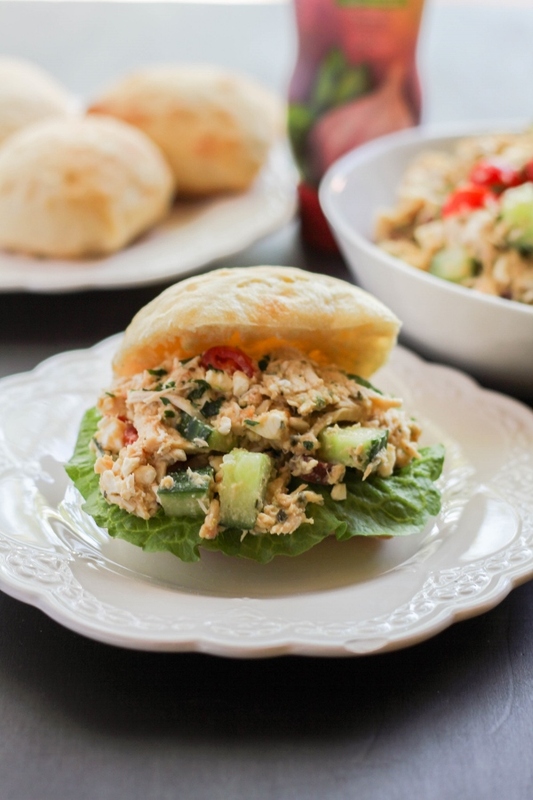 Serve on ciabatta rolls, in a pita, or as is. Disclosure: This post is sponsored by Sabra. All opinions, as always, are mine.